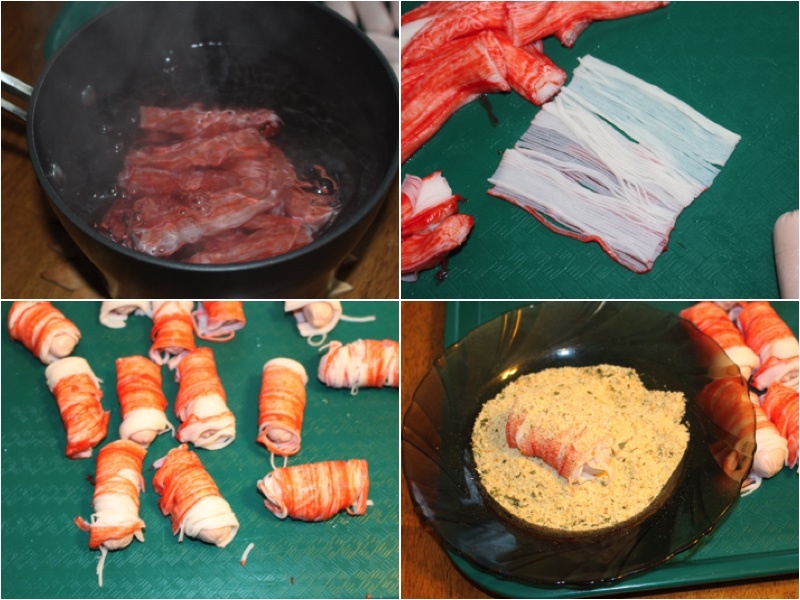 This recipe is fantastic and includes baby sausages on the inside with tasty crab sticks wrapped around the outside. 1.) Peel your crab sticks and place them into boiling water for 2 minutes so it opens up. Drain the water and unroll your crab sticks as seen in the picture. Roll your sausages into your crab sticks and then place it into your seasoning bread crumbs until it is fully covered. 2.) 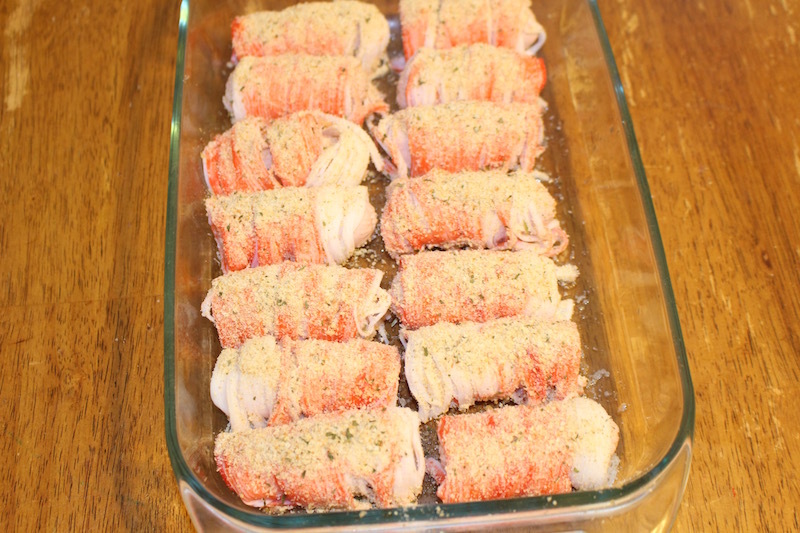 Pour your olive oil into your baking pan and your stuffed crab sticks. Preheat your oven to 350ºF. Cook for 20 minutes. Place on a serving dish and enjoy. 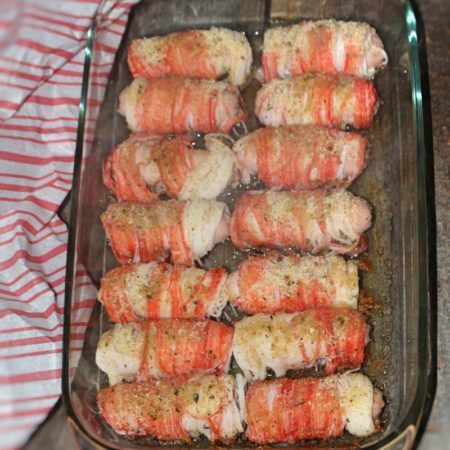 This recipe is fantastic and includes baby sausages on the inside with tasty crab sticks wrapped about the outside. Peel your crab sticks and place them into boiling water for 2 minutes so it opens up. Drain the water and unroll your crab sticks as seen in the picture. 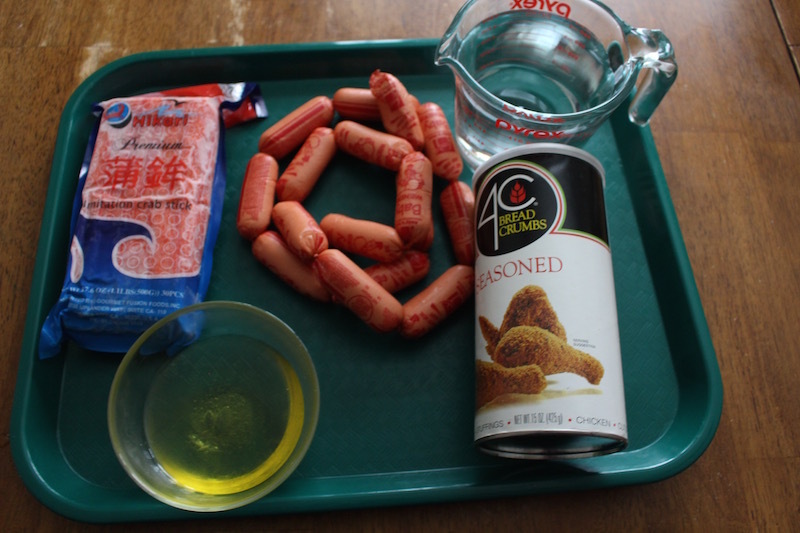 Roll your sausages into your crab sticks and then place it into your seasoning bread crumbs until it is fully covered. 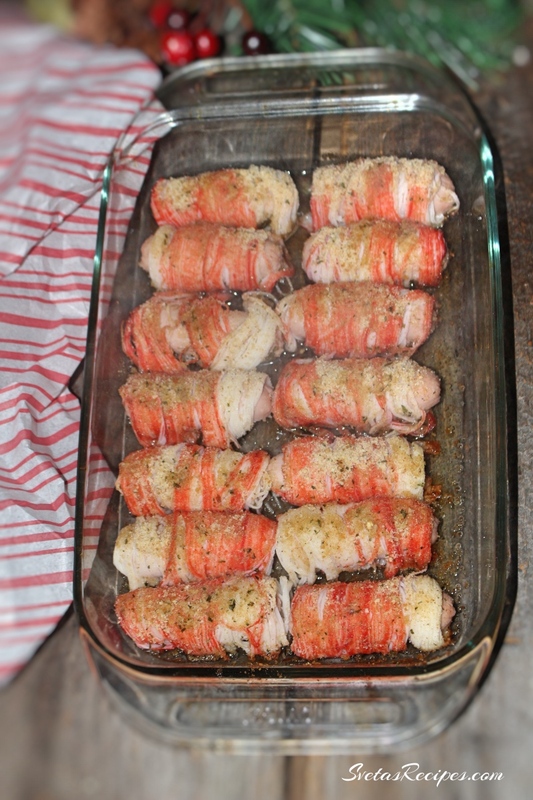 Pour your olive oil into your baking pan and your stuffed crab sticks. Preheat your oven to 350ºF. Cook for 20 minutes. Place on a serving dish and enjoy.